University leadership from Vietnam’s Ton Duc Thang University, an international partner of Chung-Ang University (CAU), made a visit to CAU for two days from July 4th (Wed) to 5th (Thu), 2018. 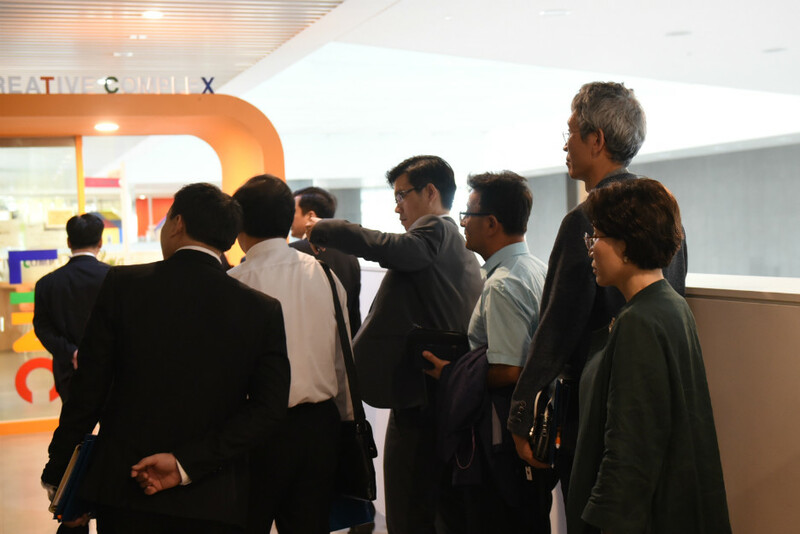 Ton Duc Thang University first discussed ways to implement a cooperative agreement with CAU’s College of Sport Sciences (more specifically, golf major) that had been signed in March 2018 and later took a tour of CAU’s golf facilities. 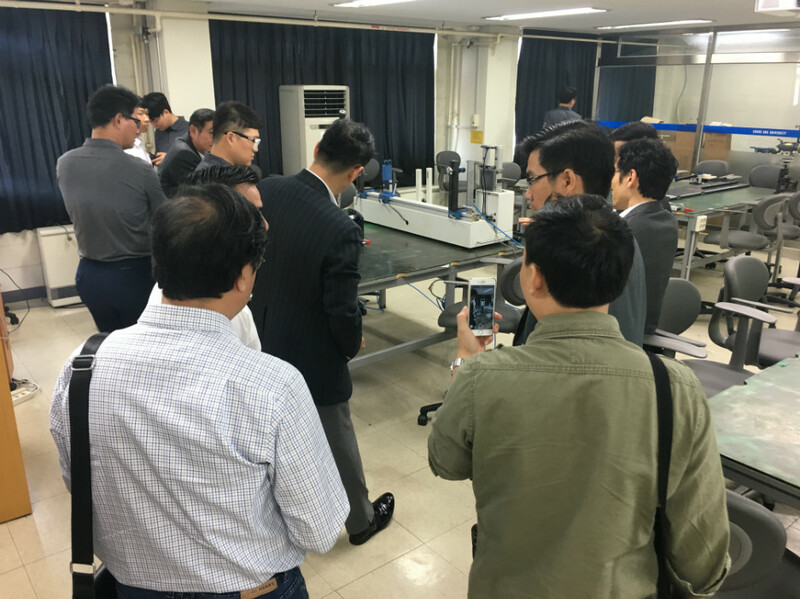 President Kim Chang-soo, Vice President Hong Jun-hyun of the Office of International Affairs, Dean Heo Jung Hun of the College of Sport Sciences, Prof. Sul Jeong-dug, and Prof. Kwon Se-jeong participated in the first day’s meeting with Ton Duc Thang University. President Le Vinh Danh, Vice President Tran Trong Dao, Prof. Vu Quang Ha of the Faculty of Sport Science who serves as assistant dean, and three architectures, Nguyen Thanh Tan, Nguyen Thanh Nghia, and Dang Ha Xanh, attended the meeting. Following the meeting, an international work-study student offered a campus tour to Ton Duc Thang University members. 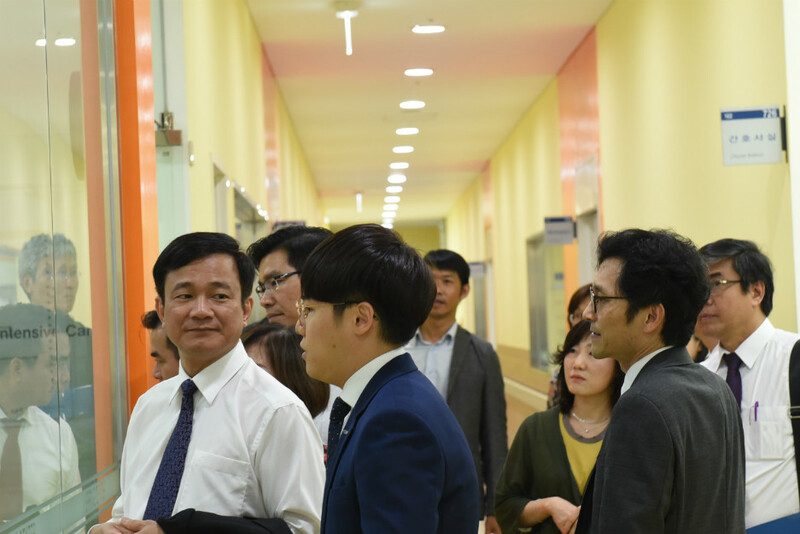 They looked around a variety of CAU buildings including Young-shin Hall, Centennial Hall, Residence Hall, and R&D Center and were particularly awed by cutting-edge facilities such as Creative Complex and MOOC Multi-studio in Centennial Hall and SPRING Center, a comprehensive nursing simulation facility, in R&D Center. 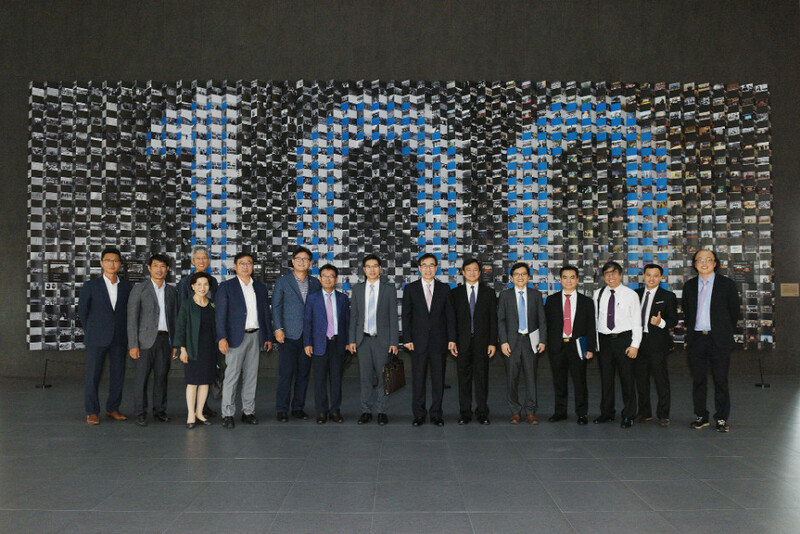 Executive Vice President for Anseong Campus Bang Jae-suk, Vice President Hong Jun-hyun of the Office of International Affairs, Dean Heo Jung Hun of the College of Sport Sciences, Chair Lee Hyun-woo of the School of Sport Sciences, Prof. Sul Jeong-dug, and Prof. Kwon Se-jeong attended the second day’s meeting with Ton Duc Thang University to discuss possible ways to cooperate in the area of golf. More specifically, CAU agreed to provide its materials such as syllabuses and curriculums, necessary to open department of golf, to Ton Duc Thang University, allow Ton Duc Thang University students to enter into CAU’s graduate school of sport sciences, and transfer the details about its academic program to Ton Duc Thang University in an effort to advise the university on golf training facilities and system. 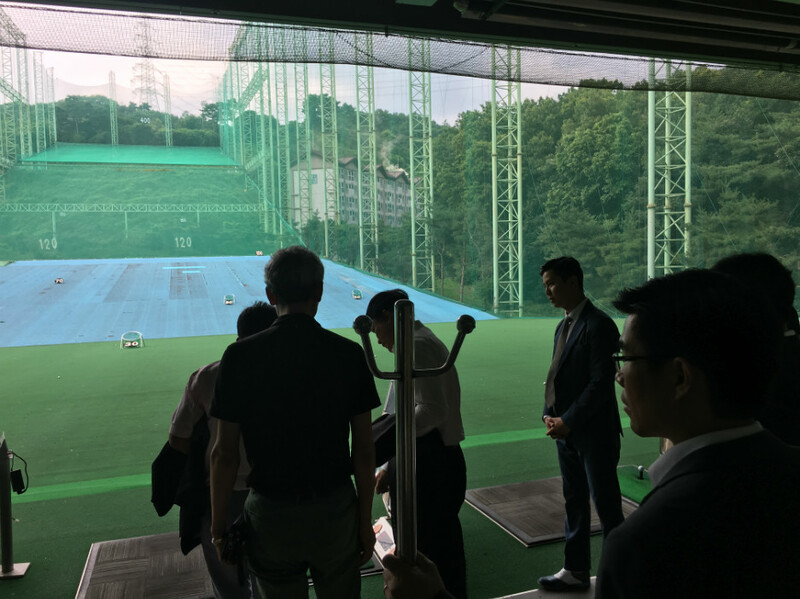 Ton Duc Thang University visited Surim Gymnasium and Golf Science Center to look around golf training facilities including simulation area and physical fitness center. Ton Duc Thang University, as a comprehensive university established in 1997, has grown rapidly in terms of size and educational & research system and is recognized as an emerging prestigious university in Vietnam. It mainly focuses on undergraduate education–in particular, practical studies such as business, electrical & electronics engineering, nursing, civil engineering, and physical education. The university is currently putting effort into establishing department of golf for the first time in Vietnam. During this visit, CAU agreed to send its School of Sport Sciences professors and transfer the curriculum of golf to Ton Duc Thang University. Based on this, the two universities will witness vibrant exchanges and draw a tangible result down the road.